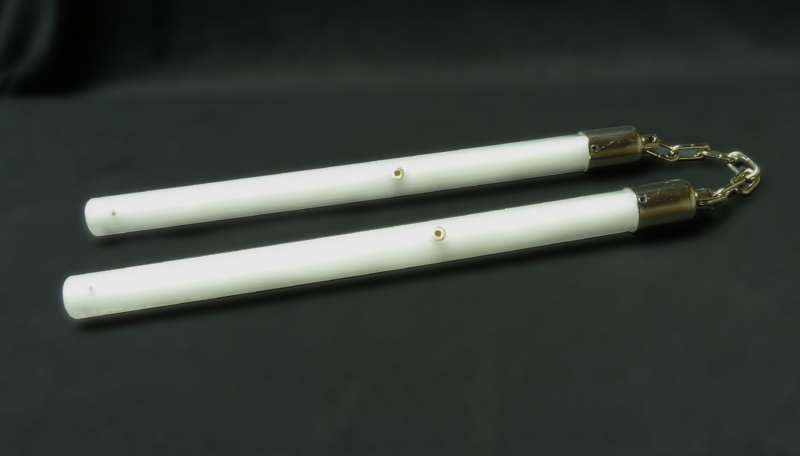 The Nunchaku are one of the newest additions to the available forms that I offer. They were designed with quality in mind and are covered with my standard 2-year warranty. 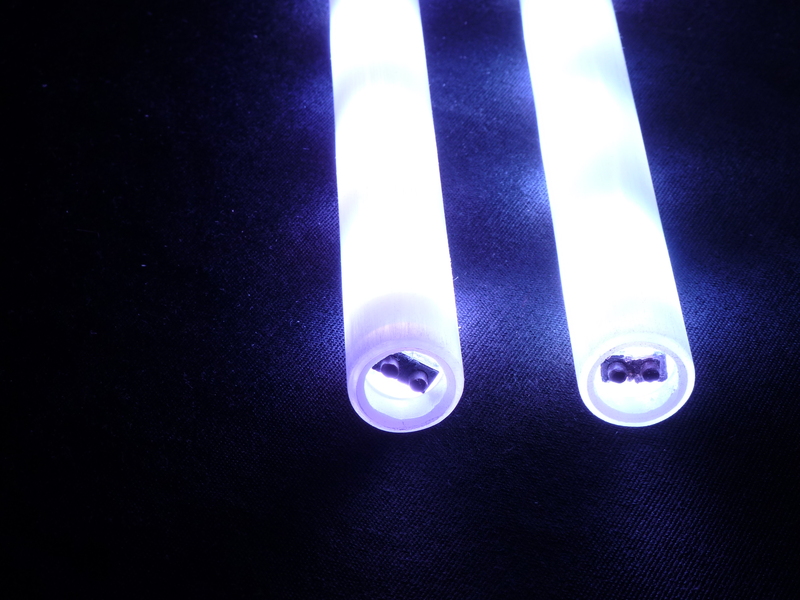 They are easy to use and will keep people in awe all night with a long battery life.Each stick contains its own internal power supply with built in charge protection, charge indicator, and an easy to use charge jack that runs seamlessly with the surface of the tubing. Power and mode/speed functions are located in the end of the stick, recessed to avoid accidental hits. 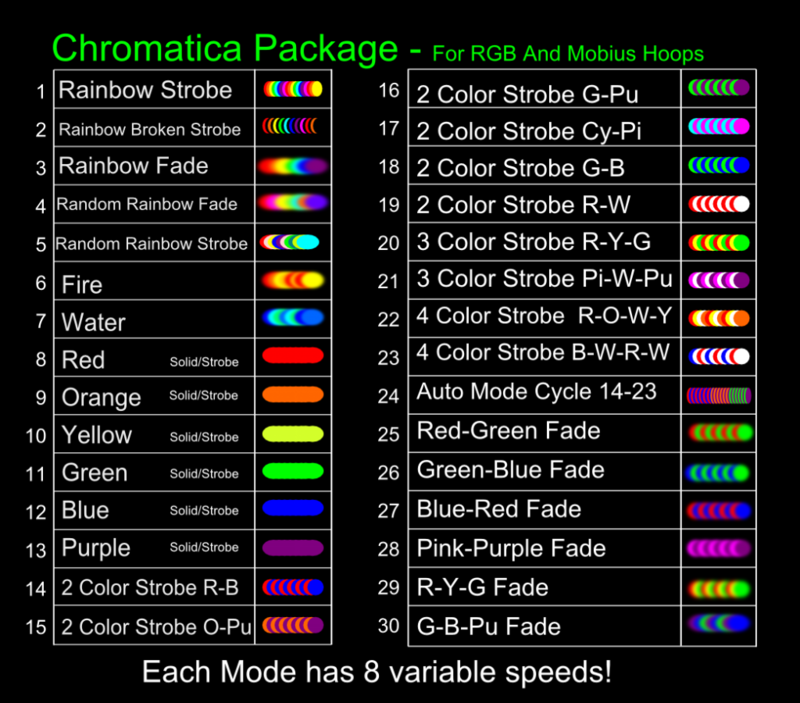 Choose from over 240 pattern/speed variations with the Chromatica controller powering four RGB LEDs. Each chuck runs independently so you can mix and match any modes on the fly! Operating time is 4 to 12 hours (mode dependent). 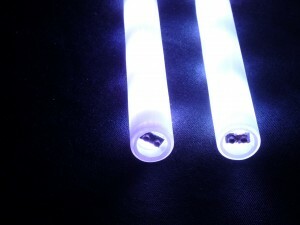 Each stick recharges in less than 2 hours and is good for 1000 recharges. AC wall charger is included, solar chargers also available. Made from a durable, reinforced, polycarbonate tubing, these nunchaku are built to take hard impacts. Internal electronics are well encased to handle high g-forces. Chromatica Package Now has 48 Modes! Contact me to customize the mode colors!